Now that you have officially completed Part One of this course, I thought it would be appropriate to provide you with a list of all the individual sounds of Japanese, all in one place. Feel free to bookmark this page in case you ever need to come back and review all of the sounds, or just a few of them. In addition to the list below and the audio file which you can play to hear all of the sounds, I will also provide you with a chart of all the hiragana so that you can save to your phone or computer. You can even print it out and put it on your wall if you like! Alright, go ahead and press play on the below audio file and then follow along with each mora of hiragana. This would also be a good time to practice these sounds in a “listen and repeat” kind of way. Earlier I provided you with two free hiragana charts. The first chart only showed the basic hiragana that you had learned up until that point, and the second chart illustrated the correct stroke order for each one. 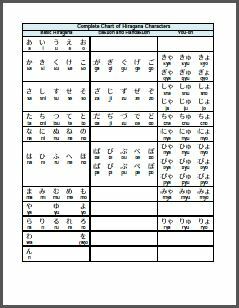 Now I would like to give you a complete chart that shows every hiragana symbol that is used in modern Japanese, and which represent all of the individual sounds of the language. -Download the complete chart by clicking here. This ought to be a useful tool for helping you to remember each of the sounds. As I’m sure you remember, this course on Mastering the Sounds of Japanese is divided into three separate parts. 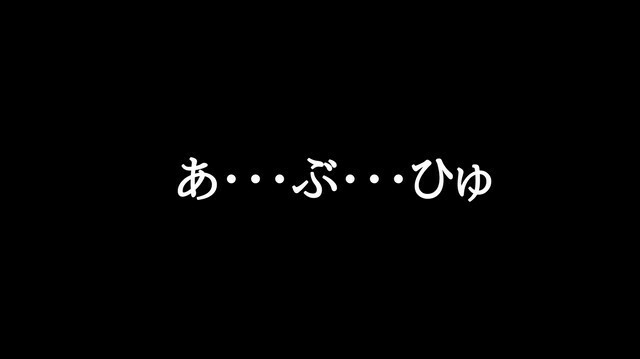 The first part, which you have now completed, focused on the individual sounds that are found in within the language, and which happen to be visually represented by the hiragana writing system. You should be very proud of what you’ve accomplished so far, and excited for what lies ahead! In this next part of the course, we will switch from focusing on the pieces that are used to form words, and instead look at words that are in their completed state. This is important to do because depending on how the different sounds are combined with one another, they can change! That means that there are actually some new sounds that you are going to learn for the Japanese language, but they only ever occur inside of complete words! This is an important concept to learn and understand since it will, of course, appear quite often when people speak the language. By learning the information contained in Part Two of this course, you will not only be able to hear and understand natives better when you are listening to them, but you will also be able to mimic the sounds correctly yourself, which will then help natives to understand you when you speak! I hope you are looking forward to this part, because it’s going to get even more interesting and exciting that the stuff you’ve learned to far. Whenever you’re ready, let’s continue on! Go Back to Lesson 14!